Since the introduction of numerous low-cost airlines to the transatlantic market, access to Europe has never been easier or cheaper. New fuel-efficient aircraft and low-cost business models have allowed for increased competition among low-cost carriers, with more and more starting up every year. This series will serve to give an in-depth overview on each of the airlines in the newly-formed and rapidly expanding low-cost transatlantic market: Norwegian Long Haul, LEVEL, WOW Air, Primera Air, and Norwegian Air International. When most people think of transatlantic air travel between North America and Europe, they think of airlines such as British Airways, American Airlines, Air France, and so on. For years, these carriers, along with other major carriers operating the service, have dominated the skies over the North Atlantic, shuttling thousands of passengers every day between the U.S., Europe and beyond. In addition to their recognition and popularity, however, major airlines are also associated with the high costs that air travel to Europe typically incurs. Fortunately for the traveling public, their time is coming to end. Following a trend started in 2013, new, low-cost airlines have sprung up on popular routes from the North American continent to Europe. This trend was started by an airline unknown to most Americans but is reshaping the way we fly to Europe: Norwegian Long Haul. Although the two are often synonymous, Norwegian Long Haul is a subsidiary of Norwegian Air Shuttle, the third-largest low-cost airline in Europe. Lest the two be confused, Norwegian Air Shuttle operates primarily intra-Europe routes while Norwegian Long Haul operates routes international and intercontinental flights from bases in Europe. While Norwegian Long Haul’s footprint in the United States is still small, their impact on the transatlantic travel market has been huge and largely unexpected. The airline can be credited with successfully bringing the modern low-cost business model to transatlantic and trans-Eurasian markets. Norwegian Long Haul started small with three aircraft operating long-haul flights from its bases in Oslo and Stockholm to New York and Bangkok. 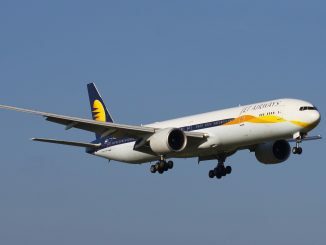 Since then, the airline has since expanded and now serves a total of 21 destinations using 12 aircraft, with an additional 22 aircraft on order. The aircraft of choice for the airline is the fuel-efficient Boeing 787 Dreamliner. 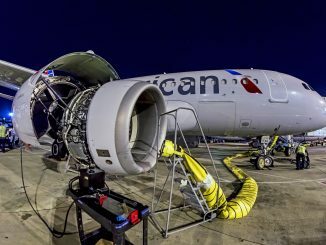 In the United States alone, the carrier operates flights to 10 major cities across the country with two more being added in March 2018, using the full potential of its small fleet of Dreamliners. 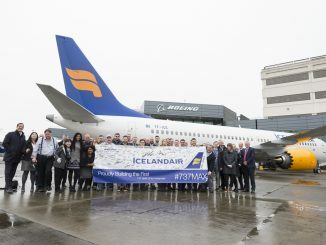 Every new city added further connects the United States and Europe at unprecedentedly low fares. It is not uncommon to see fares for lower than $200 one-way on all of Norwegian’s routes. Norwegian’s entrance on the transatlantic stage was strong and successful. While new airlines typically offer introductory fares for a limited time, Norwegian’s fares remain low to this day. The continued low fares are just one sign of its success in the low-cost market. As a new airline in 2013, Norwegian Long Haul was able to take advantage of the new wave of long-range, passenger-friendly and fuel-efficient aircraft, a strong combination, to provide its low-cost service. The Dreamliner can efficiently fly long routes that once required larger, fuel in-efficient aircraft, saving the company money in fuel costs, an unpredictable factor. 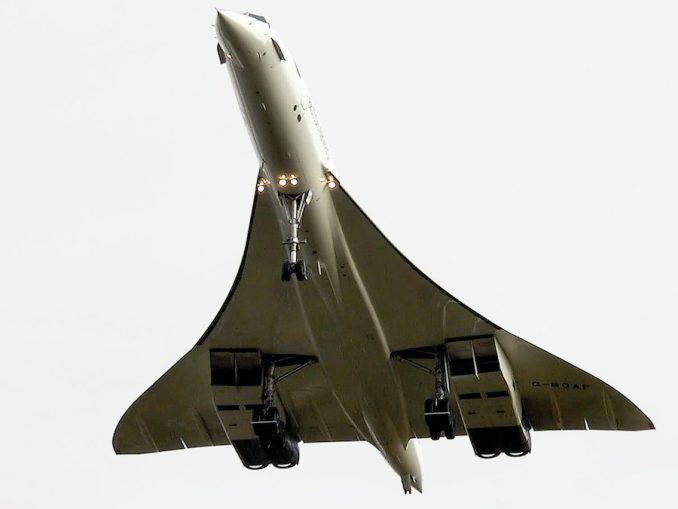 The aircraft is also able to carry fewer passengers for cheaper with a lower price per passenger, enabling the low fares that became the hallmark of the airline, in large part due to its fuel-efficiency. With the 787, the airline does not have to sell-out the plane to make a profit. When it was first announced, the Dreamliner was touted by Boeing to be the most passenger-friendly aircraft on the market. With the airplane built specifically for long-haul travel of this type, Boeing added numerous amenities in order to make the passenger experience more enjoyable when flying long distances. As Norwegian explains in its pre-departure videos, the 787 has important amenities that aren’t visible to passengers. Amenities such as an open concept cabin, larger overhead bin space, larger windows with dimmers, LED mood lights to mitigate jet-lag, lower pressurization altitudes, anti-turbulence technology, and increased cabin humidity all help travelers bear the burden of long-haul travel. The 787s, however, don’t have Wi-Fi. Lastly, eco-conscious travelers can rest at ease. One of the Dreamliner’s greatest features is that it is extremely fuel-efficient and produces fewer emissions than other aircraft. 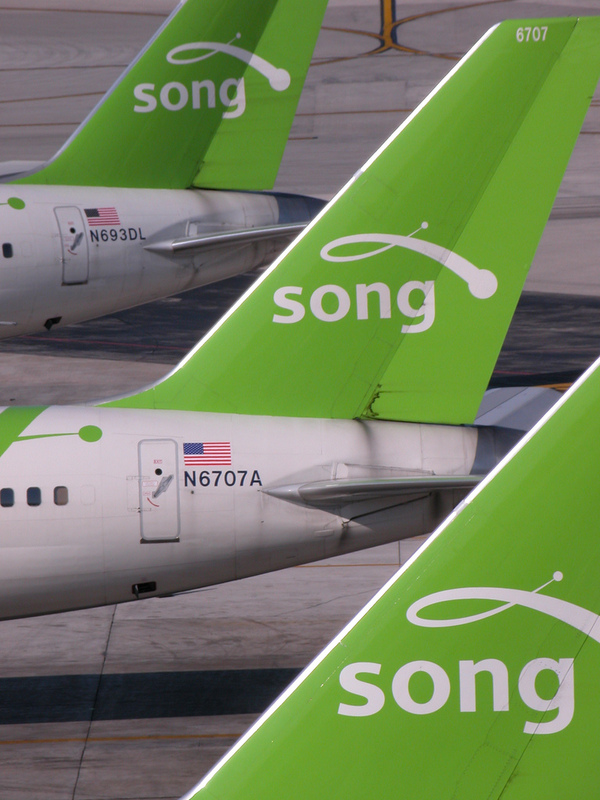 Despite the airline’s current success, it did have some rocky beginnings in 2013. When the 787 first entered commercial service, it was riddled with mechanical issues and problems disrupting all airlines, not just Norwegian. This resulted in the airline having to cancel or delay the majority of its flights, as it didn’t have enough backup aircraft and its fleet was entirely comprised of 787s. 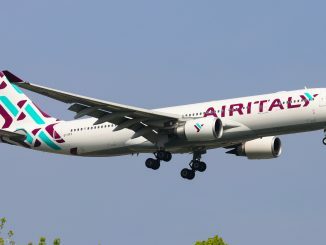 As a result of the problems with its aircraft, the airline was forced to wet-lease Airbus A340 aircraft to fill-in for the Dreamliners. The A340 is a far-cry from the 787, but Norwegian had a responsibility to its customers. Delays and sub-par replacement aircraft were a turn-off to potential customers, despite Norwegian’s best efforts. The problem, fortunately, was short-lived. In 2014, once Boeing was able to fix all the problems that plagued the 787 fleets, Norwegian showed that it was capable of operating the aircraft in an on-time and efficient manner. While it still uses wet-leased aircraft on occasion for some popular, high-demand routes, the Dreamliner is Norwegian’s workhorse and flagship aircraft. Recently, the airline announced that it will replace the engines on all of its Dreamliner aircraft, a more than $800 million endeavor that will reportedly be covered by Rolls Royce. The new engines will, hopefully, prevent future problems. This may present problems as some aircraft will have to go down for service, reducing the already few number of Dreamliners in service. Despite the initial delays due to the 787’s battery issues, Norwegian Long Haul took off strong right out of the gate, announcing new routes and destinations before its first year was finished. By 2014, Norwegian Long Haul had either began or announced its intentions for seven new routes to cities in Europe and North America. While maintaining its bases in Norway, Denmark, and Sweden, Norwegian Long Haul then began to challenge major airlines on popular routes outside of Scandinavia. The airline built up London-Gatwick Airport, London’s second largest airport, as a hub for its long-haul operations. In 2014, Norwegian began flying from London to New York, Los Angeles, and Fort Lauderdale. By offering low-cost service on these routes, Norwegian Long Haul was challenging the greater than 10 airlines currently serving those routes with non-stop flights, as well as solely competing with British Airways on the Fort Lauderdale route. In contrast to other low-cost carriers, Norwegian Long Haul flies to major airports in each of the cities that it serves, as opposed to smaller airports which are cheaper to fly to. However, Norwegian Long Haul’s sister airline, Norwegian Air International, takes this approach, flying into Hartford, Providence, and Newburgh instead of the more expensive airports in major cities. By flying into major airports, Norwegian Long Haul maintains passenger convenience, while also managing to maintain its low fares, despite the higher costs of flying into major airports. Fuel, gate real-estate, and delays make busy airports less attractive to low-cost carriers, Norwegian Long Haul, however, has been able to strike the perfect balance. Since Norwegian entered the transatlantic market, air travel to Europe changed dramatically. Before Norwegian, airfares to Europe were routinely in the thousands of dollars. For the average traveler, a vacation to Europe was just too expensive on the major carriers of the time. After Norwegian, travel to Europe has never been cheaper. Norwegian started the trend of low-cost transatlantic travel, forcing major airlines to change their pricing structures on these routes or face a loss in passengers to Norwegian. Norwegian’s genius, however, wasn’t just in providing low-cost service to Europe, but rather, it was giving passengers the freedom to choose. On long-haul international flights, travelers have become accustomed to complimentary drinks, meals, and in-flight entertainment. Such amenities were once deemed required for long-haul travel. However, such is not the case anymore. In the age of savings, some passengers want to spend as little as possible when they fly and are more than willing to sacrifice some of those amenities to save money. Famously, airlines like Pan Am would have a piano bar on the top-deck of their 747s. However, the recent trend in aviation has been airline’s providing less and less, while charging more and more. Norwegian, while providing less for its passengers in terms of amenities, charges less for its tickets. Following the trend of other successful low-cost airlines, Norwegian believes that people are willing to make that trade-off. According to Norwegian, the airline is merely giving travelers an option: if you want to pay less, fly with us. What Norwegian also excels at, though, is giving the option for more, for less. What this means is that passengers have the option to pay for creature comforts such as meals and in-flight entertainment at low costs, but they are not forced to. Either way, passengers are saving money. 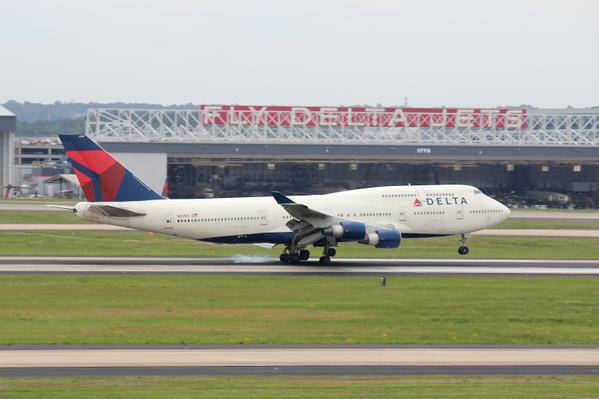 If you take a Delta flight from New York to London, you are paying for the in-flight meals and drinks, even if you don’t want them. Norwegian doesn’t charge you for what you don’t use, meaning you could save money by bringing your own snacks or by not eating if you choose. However, if you want to purchase something, you have numerous options to choose from. 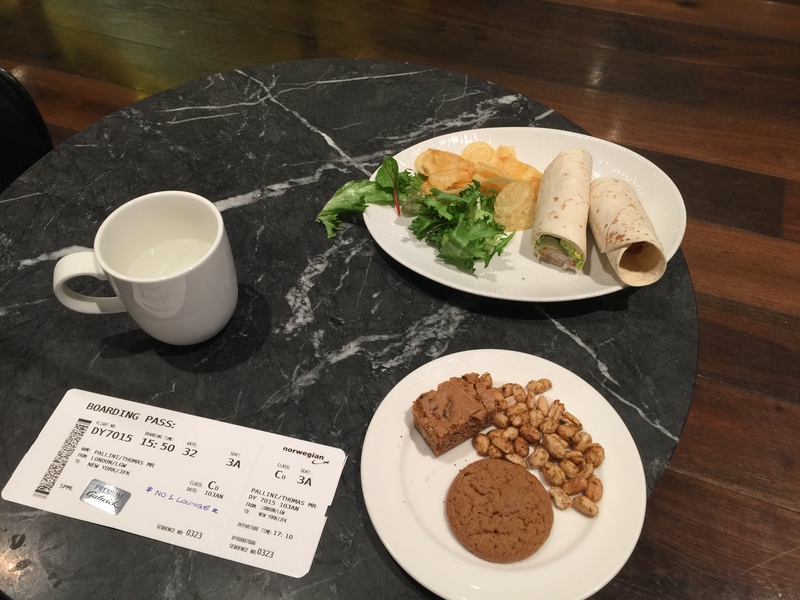 One of the good things about Norwegian is that you can buy a ticket that includes extras, such as food and drinks, and still pay less than its competitors. A quick search shows Norwegian’s lowest fare at around $200 cheaper than major carriers. If you add the extras to your ticket, you will still be saving a good amount of money compared to the major carriers that include the extras. Paying less for more is exemplified in Norwegian’s Premium Cabin. The low-cost version of first class, the Premium Cabin gives you most of the amenities of an international first-class cabin without the exorbitant cost. Purchasing a Premium Cabin ticket, passengers are entitled to priority “Fast Track” security at select airports, lounge access, meals, one carry-on and two checked-bags. As a regular first class cabin would, Norwegian’s Premium cabin features large, extended-recline seats with a footrest, personal televisions, a large, arm-rest based tray table, a three-course meal, pre-departure drinks, complimentary in-flight drinks and beverages, snacks, and a sleep-kit. Some of Norwegian’s longest flights are over 10 hours, making the Premium Cabin a no-brainer for some. You won’t, however, receive all the amenities of a typical first class. For instance, there is no hot towel, pre-departure alcoholic drinks, peanuts, glassware or silver. According to Norwegian, Premium Cabin also serves a double purpose. In addition to providing an international first class experience to those for whom it was previously unattainable, it also serves as a compromise for business travelers. Business travelers often do not pay for their tickets, which means they don’t always care how much a ticket costs. In that case, how does Norwegian get those travelers to fly them? For Norwegian, a low-cost first class is a way to attract business travelers because they’re able to fly in Premium Cabin for around the same cost as an economy ticket on a major airline. Thus, the choice for them becomes either major carrier economy class or low-cost airline first class. As a Premium Cabin ticket allows for lounge access, increased baggage allowances, priority security screening and meals and drinks, it’s better than economy on major carriers, while still potentially justifiable to a company’s travel department. Another savvy way that Norwegian provides high-quality service for a low-cost is through its choice of aircraft. The Boeing 787’s passenger-friendly amenities come standard, which means that Norwegian is using the airplane’s standard features to attract and satisfy passengers. In examining the role of the 787, it is hard to say whether or not this type of service would’ve been possible without that aircraft. Norwegian’s rise can be partially attributed to the cost-saving and passenger beneficial features of this aircraft, which wasn’t available 10 years ago. While new aircraft are setting the bar higher every day, the 787’s operations for Norwegian have played a major role in revolutionizing the transatlantic market. Lastly, a lesser known aspect of Norwegian revolutionizing transatlantic travel is removing the Saturday-night stay requirement for bookings. On most major airlines, round-trip fares to Europe for trips less than a week long are usually extremely expensive compared to if you stay greater than a week, or over a Saturday night. An overnight trip to Europe on Norwegian is the same price as a week-long trip. In addition, round-trip international fares are also cheaper than one-ways, restricting you to fly back on the same airline you arrived on. With Norwegian, not only is a Saturday stay not required for a low-fare, a round-trip ticket is not required. You can buy inexpensive international one-ways on Norwegian, something virtually unheard of on major carriers. Also, the old wisdom of booking a flight months in advance doesn’t apply here. Most of Norwegian’s prices remain low up to two weeks before travel. One of the problems that currently plague Norwegian is its designation as a low-cost carrier. While the airline wears the term as a badge of honor in Europe due to the abundance of low-cost carriers, the flying public in America has their own perceptions of low-cost airlines. In Europe, low-cost air travel is as common as taxi-cabs in New York City, connecting European countries for the price of a song in some instances. In the United States, however, low-cost carriers such as Spirit and Allegiant have given a sour taste to the industry. Uncomfortable seats, poor customer service, and unlimited ancillary fees have become the norm for low-cost airlines in the United States, except for Norwegian. While the business models are similar, in that the airlines all provide you with a flight and everything else is extra, the way the service is carried out is different. According to Norwegian, they do their best to educate people on what the experience will be like so that there are no surprises once on board. While this can be said for most low-cost airlines, Norwegian’s website, airport staff, and customer service representatives echo important information about what can be expected. For Norwegian, if passengers know exactly what to expect when booking, they can’t be disappointed because they exercised their freedom to choose. Another way Norwegian is de-stigmatizing the low-cost industry, again, is by using the Boeing 787 Dreamliner. In the United States, most people associate low-cost carriers with older, second-hand aircraft. Norwegian is directly combating this myth by using new 787s, one of Boeing’s newest aircraft, on all of their routes. The aircraft has consistently proven itself to be a passenger favorite and a top-choice for long flights. By showing off the advanced technology of the airplane, Norwegian is telling passengers that low-cost doesn’t necessarily mean low-quality. Norwegian’s efforts in this cause has not gone unnoticed, as the airline has earned the title of “World’s Best Low-Cost Long-Haul Airline” by Skytrax two years in a row since 2015. Also, choosing the Dreamliner as its flagship aircraft also paid off, as the International Council on Clean Transportation named Norwegian the most environmentally friendly transatlantic airline in 2015. Airline pilot labor unions are at the forefront of the fight against Norwegian due to what they describe as unfair labor practices. What they mean by this is that they believe Norwegian Long Haul, and subsequently, its sister airline Norwegian Air International, have been unfairly taking advantage of the European Union common market. First, the airline is registered in Ireland under an Irish Aircraft Operator’s Certificate (AOC). Despite Norwegian Long Haul being based in Norway, this is allowed since Norway and Ireland are members of the European Economic Area which consolidates different economies under a single common European market. In addition to the free movement of people and goods across national borders, companies are able to do business in other countries as well. Ireland’s regulations are less stringent than Norway’s for airlines, as it has a pro-business attitude, making it a favorable base for an airline. The crews, however, are based in a third country, Thailand, under contract for a company in a fourth country, Singapore. While this is a cost-saving measure, U.S.-based labor unions are calling this an effort to subvert regulations in their home country of Norway. 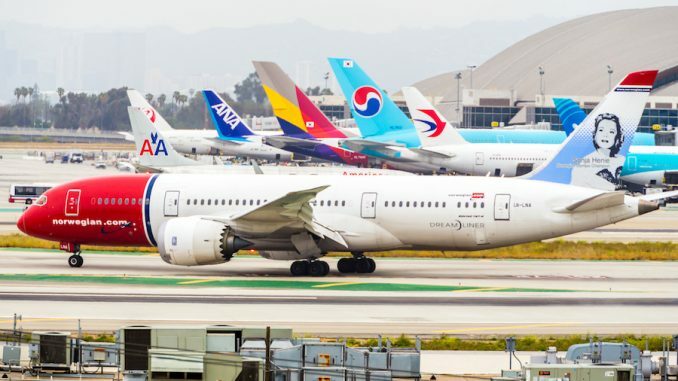 Norwegian’s strategy makes competition with U.S. airlines difficult because these airlines don’t have the ability to register their airplanes elsewhere and continue operating the same routes. The labor unions representing U.S. airline pilots are currently lobbying Congress to regulate Norwegian so that they can fairly compete with U.S. airlines. However, as of now, the Departments of Justice and Transportation see no problem with Norwegian’s strategy, as technically they are operating in the law, and have allowed them to operate in the United States with no issue. Disclaimer: This portion of the article will contain the author’s opinions from first-hand experiences on the airline. Norwegian Long Haul also paid for the author’s travel for the purposes of this article. On a recent trip to London, I had the opportunity to fly and experience Norwegian for the first time. I was flying from New York’s JFK airport to London Gatwick Airport, one of the airline’s flagship and oldest routes, and one of the few with twice daily service. I’ll preface by saying that my trip was at the tail-end of a bad weekend for JFK, as Winter Storm Grayson was wreaking havoc on the airport causing delays and diversions aplenty. My eyes were on FlightRadar24 all weekend as I was deciding whether or not to postpone my trip. However, I made the decision to go anyways, accepting any inevitable delays and inconveniences due to the recovery efforts of the airport and airline. The flight was an overnight one, scheduled to leave New York at 10:30 p.m. and arrive the next morning in London at 10:00 a.m., on the Boeing 787-9 Dreamliner, one of the airline’s newest airplanes. Arriving at JFK’s Terminal 1, the all-international terminal, I expected a line around the corner for Norwegian, as that was the case just the night before, as reported by AirlineGeeks’ Malick Mercier. However, the Norwegian check-in counters were calm with only a short line. In addition to Norwegian Long Haul, Norwegian Air Shuttle operates two flights to the French Carribean using its Europe-based Boeing 737-800 aircraft. Norwegian is one of the few international airlines at JFK with self-service kiosks where boarding passes can be printed. For most passengers, however, they are obsolete as you still need to see a customer service representative if you have carry-on bags so that they can confirm you are within limits and affix a sticker to your ticket. As a carry-on bag was included in my ticket, I was surprised that I was asked to weigh both my carry-on and personal item. Since the allowance is only 10 kg, about 22 lbs, I was over by 8 lbs combined with both my bags. Since this was a short trip, I had a thick peacoat, a few shirts, pants, and pajamas, but in my personal item, I had a laptop, two cameras, a heavy-duty water bottle, and shoes. While I was initially surprised I was over, I soon realized why. I was told I had to check one of my bags and chose the larger carry-on. An interesting quirk about the Norwegian check-in at JFK is that if you need to purchase extra baggage allowance or need to check your bag, you have to go to a separate sales counter instead of making the purchase at the check-in desk. While it may be inconvenient to those who have to purchase it, it makes the check-in line move faster. 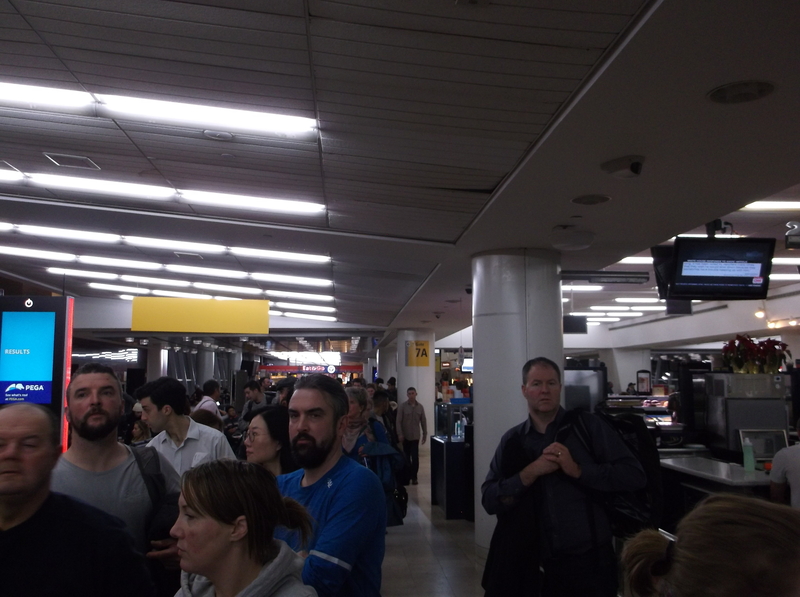 After proceeding through security, I went to the gate to see it completely filled with London-bound travelers. There were no signs or placards about the boarding procedure for Norwegian, so everybody just lined up in a semi-single file line. Our departure had been delayed until 11:05 p.m., but by 10:50 p.m. we had started boarding so I wasn’t hopeful, but understood as the extra passengers were the result of the snow storm. Norwegian pre-boards its passengers who need extra time and Premium Cabin passengers then boards back to front. As we boarded the aircraft, we were greeted by flight attendants in very modern-looking plaid jackets. 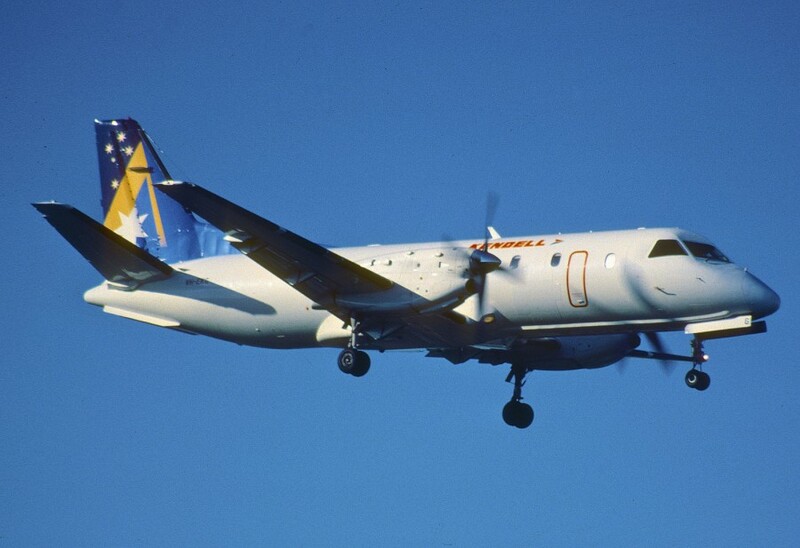 Modernity played a key role in the flight, separating Norwegian from other low-cost airlines. 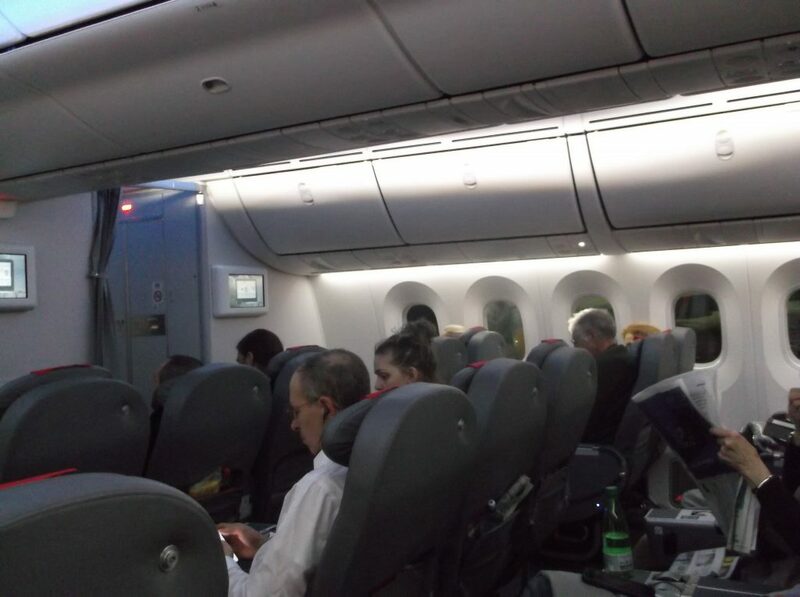 Having been on a 787 before, I was used to its open cabin and large windows. I still, however, immediately played with the window dimmer. Sitting down, I was impressed. The seat was nothing overly special, but I was pleasantly surprised that it had a normal range of width and pitch. As first impressions are key, I was confident I would be comfortable on the 6-hour and 30-minute flight across the pond. While the seatback pocket protruded out due to the presence of a large in-flight magazine, I was able to extend my legs just fine. 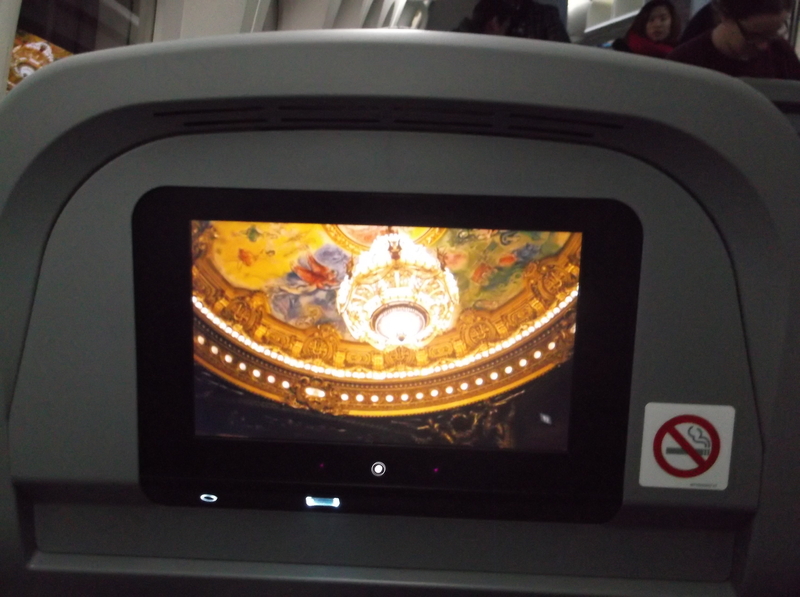 The seatback screen was also impressive for a low-cost airline. 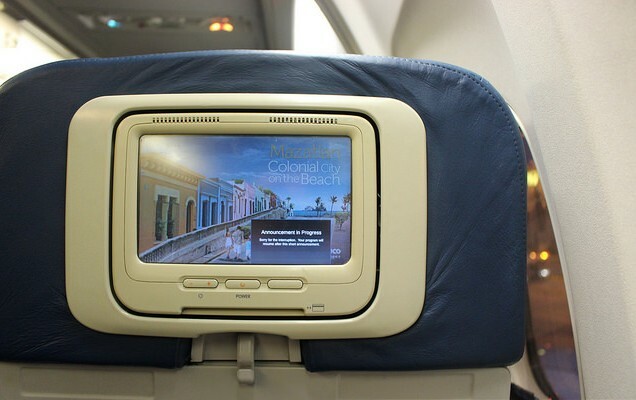 The screen was the same as those used on Delta and American, very large and modern with a headphone jack and USB port in the console. The selection of movies was limited but was enough to satisfy for a few hours. There were few new releases and the Zac Efron movie “17 Again” was listed as a “classic movie,” but I was able to find something to watch in no time. The entertainment features, surprisingly, were complimentary. There was also a few TV shows and documentaries to choose from, as well as a games section. The moving map feature was also very interactive, giving passengers a virtual tour of different cities across the world and providing a street map of each city. Lastly, passengers were able to order snacks, drinks, amenities and duty-free products through the snack-bar. 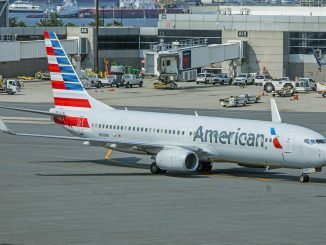 Comparable to Virgin America’s style of ordering drinks and snacks, passengers can order and pay via credit card directly on the screen and flight attendants would promptly deliver the products directly to the seat. Prices for food and drinks were not overly expensive, with meals ranging from $5 to $10 and drinks starting at $3. After a short taxi and uneventful takeoff, we were off to England. Having flown the week prior, I immediately noticed that the engine noise did not interfere with the sound from my headphones. 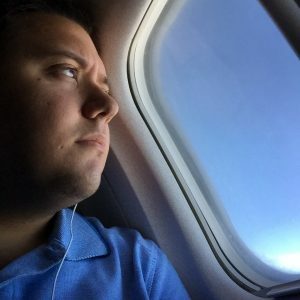 I was seated in row 13, directly next to the airplane’s large Rolls Royce engines and was able to hear my music louder than on any other plane I’ve flown on. I was very impressed. Food and drink service started promptly. Flight attendants knew who had ordered meals in advance and went up the aisles delivering them. The choice for my flight was either beef with mashed potatoes and carrots or a chicken leg with rice. I chose the beef as I had chicken for lunch. 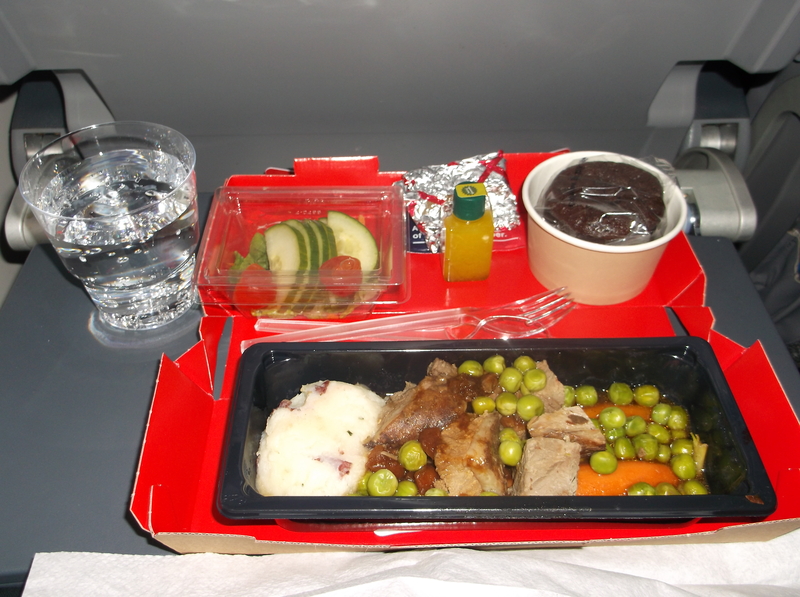 Having seen photos of Norwegian’s meals on the internet, I was not expecting much. However, it seems as though the airline changed up its meal service. The entire meal consisted of: squares of beef with mashed potatoes and carrots, a side of vegetables, and a brownie/chocolate cake. Drinks were also included, as a flight attendant with a drink cart followed the meal cart. All in all, the meal was tasty and fresh, better than I expected. Already, Norwegian was exceeding expectations. After sleeping for the next few hours, as this was an overnight flight, I awoke to find a bag on my tray table. Inside the bag was breakfast, including a cinnamon roll, a turkey ham and swiss baguette and a bottle of apple juice. I forwent the baguette as I was not in the mood for a sandwich, but did enjoy the cinnamon roll. An hour later, we arrived in London. We arrived at one of the furthest gates, but Norwegian doesn’t have specific gates at Gatwick so this wasn’t their fault. After a 10 minute walk to UK Customs, I waited another 15 minutes for my bag, then proceeded to London. As I mentioned before, most low-cost airlines choose to fly to smaller airports that are often farther away from the city center. Norwegian, however, chose London’s second largest airport, London Gatwick Airport. Although a major airport for London, I was curious to see if Norwegian made the right choice instead of flying to London Heathrow, which is more centrally located. After clearing UK Customs, I walked out of international arrivals and was immediately at the counters for the three rail lines that provide rail service to London. From Gatwick, you have three options: ThamesLink, Southern Rail and Gatwick Express. Thameslink serves London-London Bridge, Southern Rail serves London-Victoria and Gatwick Express provides express service to London-Victoria. The fare was $44, which would’ve been less if I had paid in advance, however. After a quick 30-minute train ride through the picturesque English countryside, we were at London Victoria Station in the heart of London. It was clear to me that Norwegian made the correct choice by choosing Gatwick as there were ample and convenient opportunities for travel to central London. On my way home from London, I was on Norwegian’s evening flight from London to New York. For this flight, I was in Premium Cabin. The flight was scheduled to depart London Gatwick at 5:10 p.m. and arrive in New York at 8:30 p.m. At 8 hours and 20 minutes, this would be the longest flight I’ve ever taken, although the actual flying time was just over 7 hours. Waking up that morning, I received a text from a flight tracking website I used saying that my flight was delayed by two hours. However, Norwegian’s app showed that the flight was on-time. It wasn’t until I went on Norwegian’s website that I found that the flight was truly delayed. Although even their website said on-time, it had a note saying it was delayed. I made a rookie mistake, however, and didn’t arrive for the scheduled departure time as you should even when your flight is delayed. Because of this, I was still out and about when I got the alert saying that the flight was back on-time, two and a half hours before departure. After receiving the text, I quickly made my way to London Victoria Station and within 45 minutes was at Norwegian check-in. While Norwegian also had check-in kiosks at Gatwick, they weren’t reading my passport for some reason so I had to go to the counter. It was empty, but a lack of agents meant I was waiting for a while just for a boarding pass. As a Premium Cabin passenger, I was allowed two carry-on bags at 20 kg, or 44 lbs, each, which was plenty for my carry-on and backpack. I was also given priority security screening and lounge access. Although I didn’t have much time in the lounge, I was able to sample some of its amenities. Passengers were given a menu with food options for a quick meal. Among the choices were fish finger sandwiches, mushroom risotto and a cheese and biscuit platter, which were ready within 10 minutes of ordering. Soups, salads, drinks, and snacks were also available via a self-serve table. Alcoholic beverages were also complimentary. After a few minutes, it was time to head to the gate. The long-haul section of Gatwick’s South Terminal was empty as I made my way to the gate, arriving just in time for boarding. Walking through Gatwick’s glass jetways, I could see our 787-9 Dreamliner waiting. I was in seat 3A in the Premium Cabin. As I normally don’t fly in premium classes, I was not used to the amount of legroom I had. I felt like I was getting into a car seat after a very tall person had been using it, looking for a lever to move my seat forward. However, the seat was very spacious and comfortable. The recline was not lie-flat, but was very generously angled and featured a footrest. The controls were all mechanical, not automated. My seatmate was a business traveler flying home from London. It was her first time on Norwegian and was disappointed when I told her there was no Wi-Fi. Looking around the cabin, I saw a few business travelers, but it was mostly older leisure travelers. I expected that because that is the type of traveler that would pay a little extra for this type of product. Pre-departure drinks were promptly served featuring a choice of water, orange juice or apple juice. No alcohol. We were delayed by about an hour as there were passengers who hadn’t boarded and their bags had to be removed. During the delay, an older couple in front of me asked for a snack and the flight attendant offered her crew meal as there were no other snacks she could give them. Once we pushed back, we were airborne within minutes. Meal service in Premium Cabin was similar to the meal service in economy, except there were more choices. For this flight, the choices were chicken with mashed potatoes, beef with small potatoes or fish with rice. I chose the chicken. The entire meal consisted of a piece of breaded chicken, garlic mashed potatoes, prosciutto, string beans, a roll and a corn-based bread pudding with vanilla cream. Overall, the meal was very basic and tasteless. The chicken was bland, the mashed potatoes were more soup than potatoes, but the string beans were very fresh. I only ate about half of it then moved on to the desert, which was small but very tasty. The flight attendants for this flight were very accommodating, although maybe a little overworking as they were rushing around and responded to the flight attendant call button about half of the time. However, they always had a smile during the service. After dinner, we were offered either brandy or Bailey’s Irish Cream as a nightcap. After finishing my drink, I fell asleep and woke up briefly during the flight. 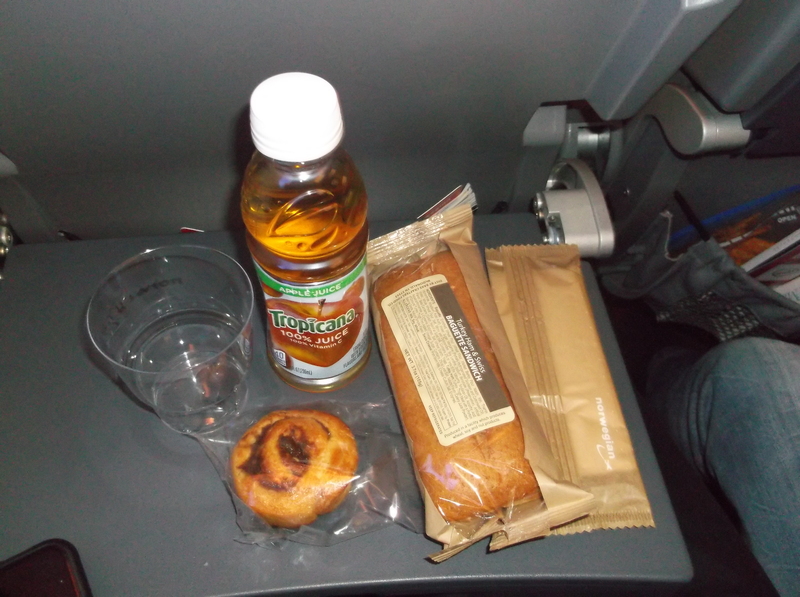 The rest of the service featured drinks and other snacks throughout the flight. We were provided blankets for the flight and it was the first time in a while that I’ve made use of one during a flight. I instantly fell asleep and was dreading ever having to return to a standard economy seat. It’s amazing how much an extra recline and a footrest makes for in-flight sleep. I woke up with about an hour to go, just enough time for a coffee before landing. After we landed, it was a quick walk to US Customs, then, before I knew it, I was curbside waiting to be picked up. 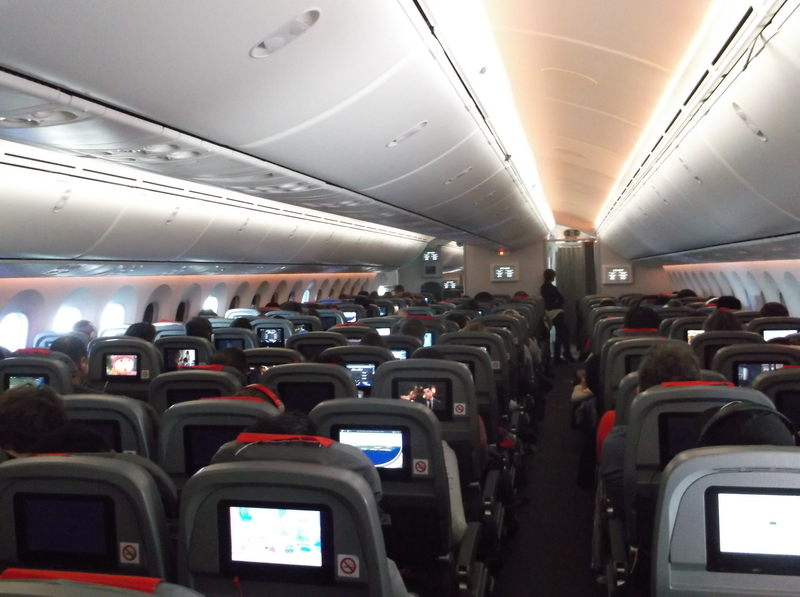 I had conquered this 8-hour flight with ease thanks to Norwegian’s Premium Cabin. There were noticeable differences from a standard first class cabin. There were no hot towels before a meal, no complimentary peanuts, very limited alcohol choices and no silverware or glasses. The meal was served in a box and drinks were served in plastic cups. 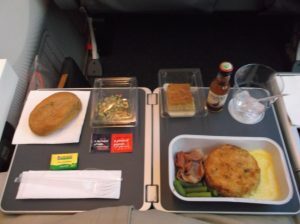 Although I didn’t mind, there was no real difference from the meal in economy versus the meal in Premium Cabin, and with my chicken meal, I actually enjoyed the economy meal more. The only real difference between the two cabins, in my opinion, was the seat size and complimentary alcoholic offerings. However, the Premium Cabin product’s price point matches the services that are given to you, so it is still a good deal, if not only for the bigger seat, meal and lounge access. I enjoyed the service nonetheless. With Norwegian, you get the one thing that most airlines aren’t offering: choice. Norwegian can be a low-cost airline or it can be just as good as a major carrier, but they let you choose. With the ticket type I had, there was very little difference between Norwegian and a major carrier, even with the lack of certain amenities. Choice is very important. Some people feel tricked by airlines charging for everything in addition to your ticket, but I take a more libertarian approach. I like that I don’t have to pay for something I’m not using and don’t mind paying more for extras if the ticket price was extraordinarily cheap. The budget-minded traveler would also gladly pay less if he had the option to. He may be receiving fewer amenities on the airplane, but the low-cost aspect enabled him to travel to places hitherto unknown to him. In the end, everybody on the plane will be arriving at the same destination at the same time, the time spent on the airplane is just a necessary step of the journey for some people. The flights had the key tenants for airline travel: a comfortable seat, friendly service, and a low price. I was more comfortable on Norwegian that on some major domestic carriers, which is saying something about the state of air travel. Although I did have a higher priced ticket, I felt as though I would’ve been fine with a lower priced ticket. All I would’ve been sacrificing is a seat assignment and a meal, both of which I could’ve lived without. However, Norwegian’s legacy will be more than a seat assignment and a meal. In Norwegian’s quest to establish itself on the transatlantic market, it also proved to other perspective airlines that low-cost transatlantic flights are not only possible but profitable. 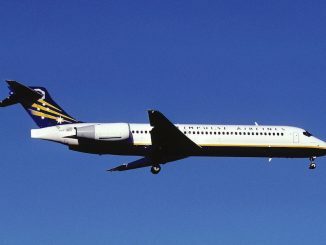 Since its inception, numerous other low-cost airlines have commenced, or are planning to commence, operation between North America and Europe, following Norwegian’s lead. Despite being a low-cost carrier, Norwegian isn’t your typical budget airline. I was surprised at how much I genuinely enjoyed the flight and would no-doubt fly them again. Airfares across the pond are going down across all airlines due to the increased competition that Norwegian is bringing. In my opinion, there has never been a better time to fly to Europe from North America than now, thanks to Norwegian and other low-cost transatlantic carriers. Norwegian’s low fares have encouraged people to try their airline, thus, de-stigmatizing the low-cost airline one passenger at a time. However, the airline still bears that title and it will have to work hard to show that it is just as good as the other airlines, if not better, at providing transatlantic service.